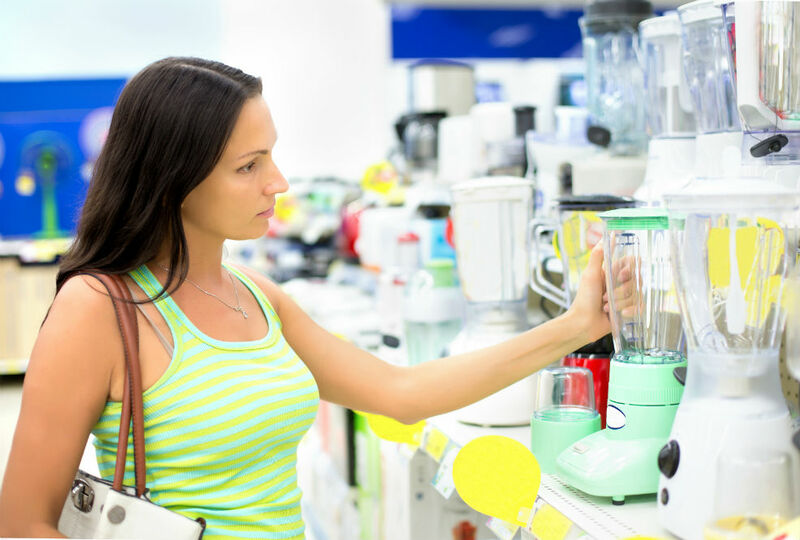 A blender is an essential part of anyone’s kitchen, especially if you want to conduct a healthy lifestyle. 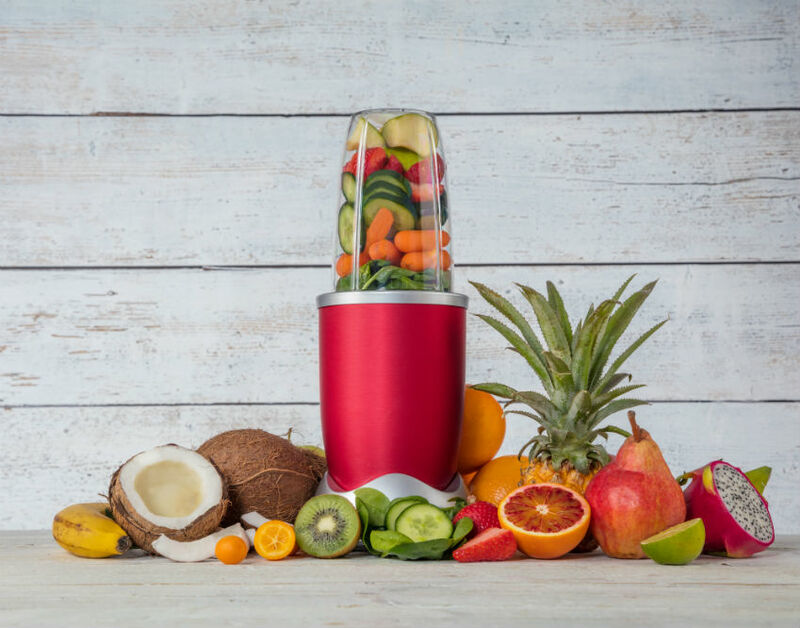 Modern blenders are super versatile and can replace many different kitchen utensils allowing you to mix, chop, and blend fruits vegetables and more. 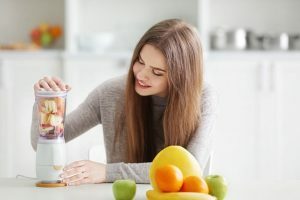 A good blender will assist you in a whole range of cooking techniques, but probably the most frequent use is creating nutrient- and vitamin-packed smoothies and juices. 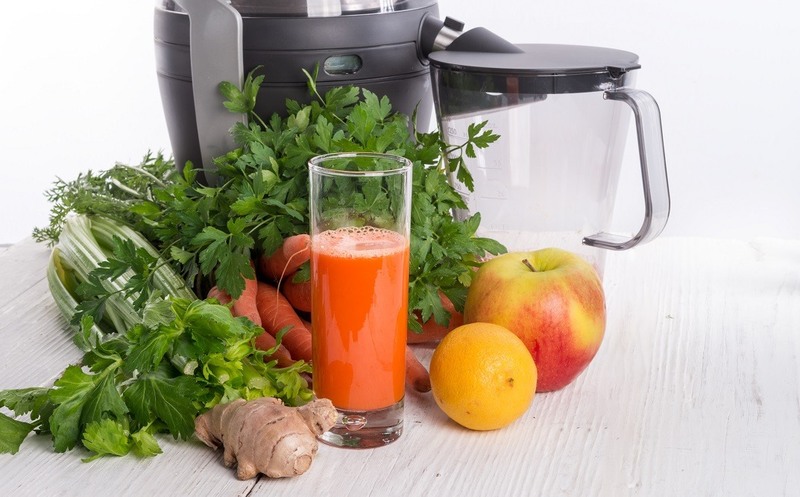 Smoothies and juices are a fantastic way to increase your vitamin intake while on the go. One of the key ingredients in a good smoothie is fruit, however fruit can be expensive and also seasonal. It is also one of the easiest items in your store cupboard to perish which means having a supply of fresh fruit is not suitable for some people. This is where frozen fruit becomes an essential part of your food shopping and freezer storage. Frozen fruit tends to be much cheaper than fresh fruit because there are fewer logistics involved in delivering something to your home that was once growing on a tree. Frozen fruit is also widely available all year round and closes the season gap of produce. Let’s look further on how to blend frozen fruit. Having a bag of frozen fruit in your freezer is a lifesaver, and a quick way of introducing a range of different fruits into your smoothie. Blending frozen fruit takes a little bit of practice, but once you have perfected the technique, you will never use fresh fruit again. Frozen fruit is usually packaged almost immediately after it was picked, and as such (a recent study from Chester University in England) contains a higher level of vitamins and minerals compared to fresh fruit you buy from a supermarket. It is, therefore, a super ingredient that will form the heart of your smoothies. As well as providing a good level of nutrients when blended, it will also keep the smoothie cold, and allow you to blend your smoothie into a thick and creamy drink. Using frozen fruits and vegetables substitutes the need to add additional ice cubes to your blender. Simply adjust any of your regular recipes by removing the ice and adding a cup of water until you reach the required consistency. The key to a successful frozen fruit blend is to make sure you add the frozen fruits towards the end of your ingredient fill. When using frozen fruit always start with the liquid first, and always any sure there is enough liquid too roughly cover the amount of frozen fruit in the blender bowl. This prevents the mix from getting too cold and freezing in the bowl rather than blending. Forget to add ingredients in this order, and you will end up with something that resembles a sorbet at the base of your blender bowl, and the remaining ingredients sitting untouched above. 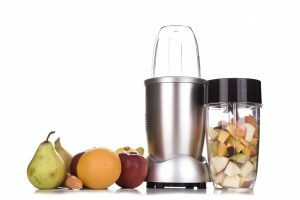 The type of blender you have will also make a difference in the way you go about using frozen fruit in a blender. Although frozen fruit is softer and therefore easier to blend than an ice cube, it still requires a level of power in your blender to create a smooth, consistent finished blend. 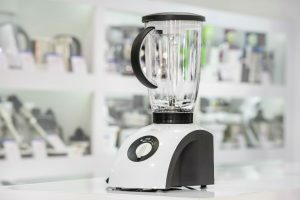 If you have a top-of-the range blender with a powerful motor, it is probably ok to add everything into the blending jar (ensuring you put the liquids first), hit go, and let the motor and the blades do the work. However, if your blender is a budget-end machine that is not necessarily designed for blitzing its way through a bag of ice, you may have to approach blending your frozen fruit differently. Blending in smaller batches that the motor can accommodate and always ensuring that there is a good level of liquid that covers the frozen fruit in each batch should work just fine. If you have a less powerful blender, using frozen fruit or vegetables will be a fantastic bonus and opens up a whole additional range of smoothie making recipes that you couldn’t previously do using ice cubes. An additional frozen fruit hack is to adjust how “frozen” your fruit is before adding it to the blender, by allowing it to thaw for a few minutes before blending. This makes it entirely feasible to use a manual or travel blender quite effectively with a partially thawed frozen fruit mix. Allowing your frozen fruit or vegetables to thaw for a few moments is a great way to vary the consistency of your final fruit blend. 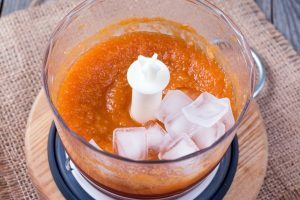 Irrespective of how powerful your blender is, allowing your frozen fruit to partially thaw before blending, is a great technique to master. 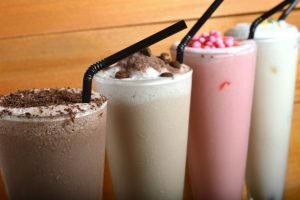 It is also a good idea to experiment with different types of liquids, and additional fibers and proteins to create the perfect smoothie. People talk about the “Holy Trinity” when it comes to portioning your ingredients for the perfect smoothie, and there should be the correct balance of protein, fiber and healthy fats. 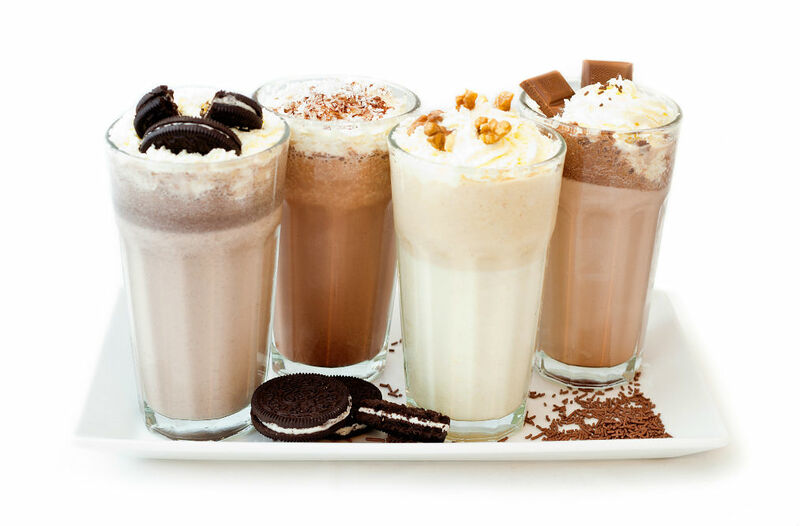 But in our opinion, the additional factor to consider is the inclusion of ice (in some form) to create the perfect temperature and consistency of the final mix. 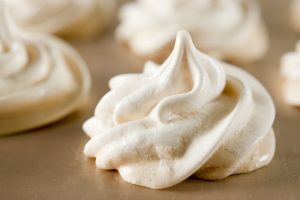 For example, it is worth experimenting by including fresh juices, milk, or plant-based milks and yogurt alongside your frozen fruit and vegetables to ensure you get a creamy and tasty mixture. It is also worth trying to include oats, seeds, and nuts, to create a fuller consistency. By varying the amount frozen fruit when combining with oats and yogurt it is also possible to blend frozen desserts and frozen yoghurts. One of the great benefits of using frozen fruit and vegetables is that you can incorporate exotic fruits and vegetables that are not in season. As long as you follow the golden rule of always “placing the liquid into the blender first” and ensuring that there is enough liquid to cover at least the volume of frozen fruit in your blender jar, then you are free to let your imagination run wild. 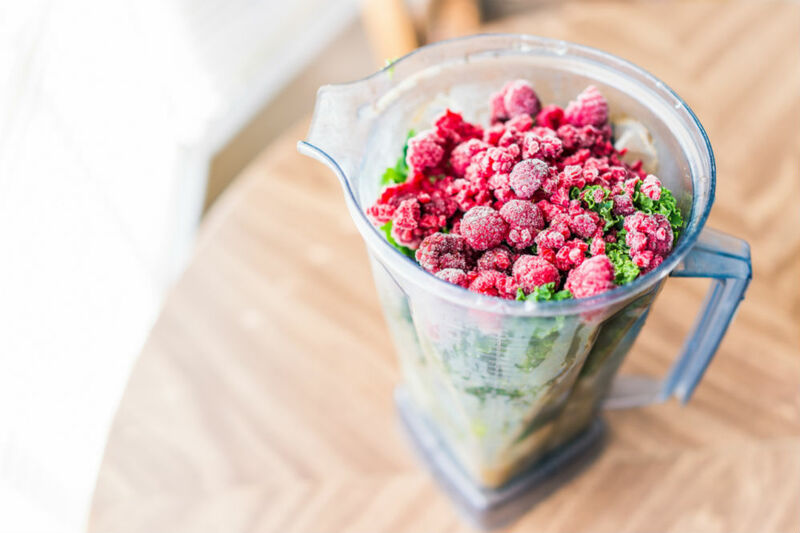 We hope you’ll get the most out of your blender, especially when blending frozen fruit, as this is a great way to add variety and additional nutrients to your menu.